At Rarotongan Beach Resort & Spa, there’s an undeniable sense of romance that lends itself wonderfully to a Cook Islands wedding. Rarotonga, in the heart of the South Pacific, is also in the hearts of many couples – as one of the most romantic places on Earth. The Rarotongan Beach Resort & Spa – which is the only resort on Aroa Beach – is situated on a magnificent island comprising tall mountains and lush green rainforest encircled by white sandy beaches and a beautiful blue lagoon. For the incurable romantic, the unique Honeymoon bungalow is a perfect choice. Nestled in its own secluded, lush tropical garden, the bungalow features a private swimming pool, luminous open-air shower, outdoor ‘starlet’ spa bath on the verandah, and a couple’s sauna. It also offers easy access to Aroa Beach and blue lagoon through a private gateway. Dreamtime Aruru All-Inclusive Wedding only NZ$5999! 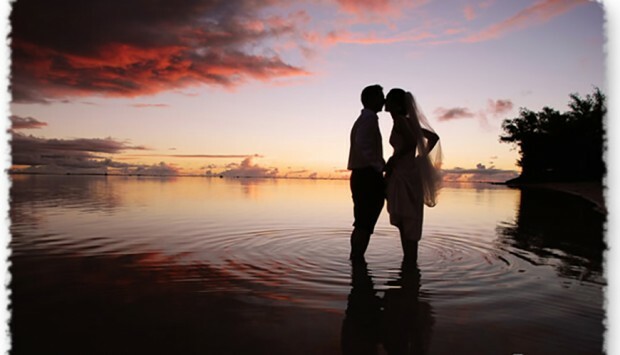 • 5-nights Beachfront Suite accommodation @ Sanctuary Rarotonga-on the beach for the Bride & Groom! 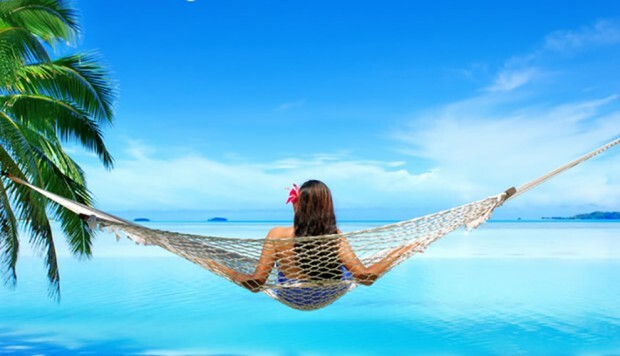 • Return Airport-Resort Transfers on Rarotonga for the Bride & Groom! • ALL FOR AN AMAZING NZ$5999! The Rarotongan Beach Resort & Spa is located on the south west coast of Rarotonga, ensuring that you are able to live your dream of a beautiful sunset beach wedding. You and your loved one can say your vows right on the island’s best white sandy beach with the sun setting across our sparkling blue Aroa Lagoon, the Lagoon of Love. It doesn’t get much more romantic than that!